With a 13 point lead and 8 games left for Duluth and Western Michigan it's probably more of a matter of when and not if. I have a hard time imagining it won't be clinched prior to the final weekend against Duluth. If Duluth and Western drop 2 (or some combination of ties) in the next two weeks and we sweep Omaha we can clinch with 2 weeks remaining. Would be desirable if they win at WMU when I'm in attendance. I was in Madison when they clinched the last McNaughton, so I'm sort of good at picking games to go to. Doe wrote: Would be desirable if they win at WMU when I'm in attendance. I was in Madison when they clinched the last McNaughton, so I'm sort of good at picking games to go to. Seems pretty probable. 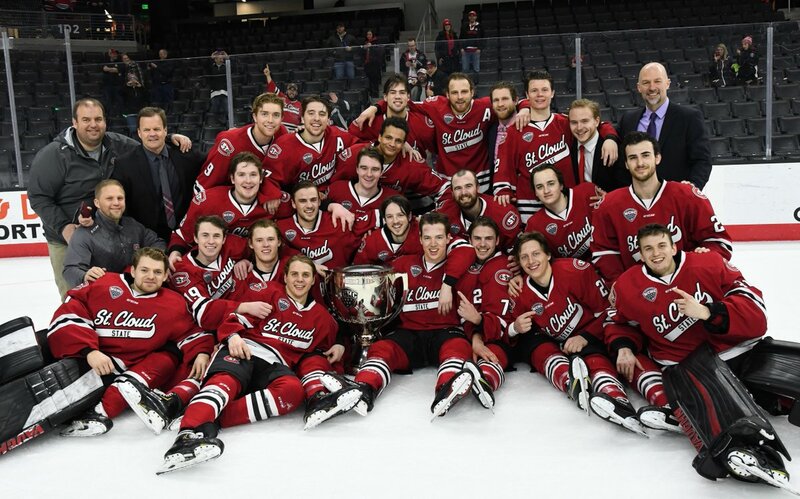 It's possible to clinch with a sweep over Omaha but at least one of Denver Duluth or Western would probably still be hanging on by a thread, and unless Western sweeps us any points we get against them should eliminate them even if we split with Omaha. While I would consider Western Michigan behind Duluth in Denver in chance to make us sweat their down 3-0 early to North Dakota. A 4 game Fighting Hawk win streak starting tonight would do the trick. 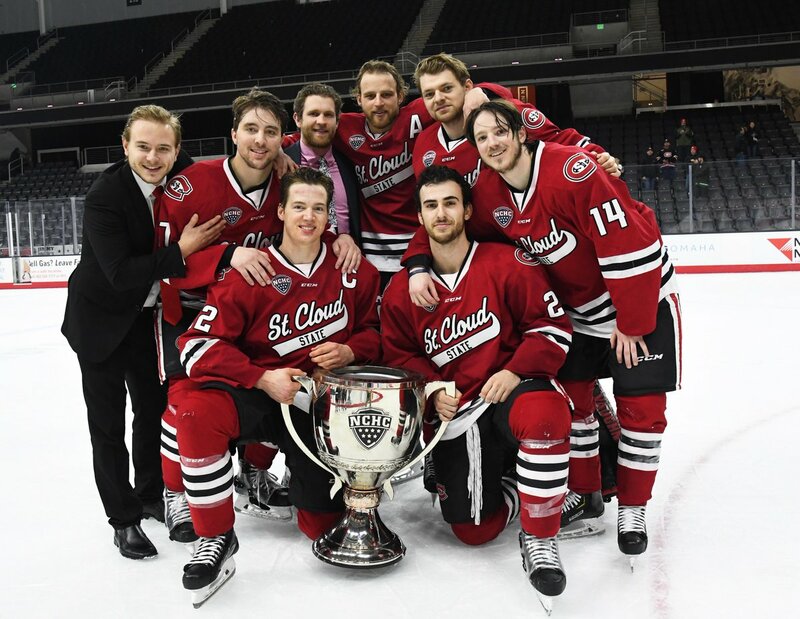 With Duluth's loss the magic # is 3 wins. The Huskies should be able to take care of all that on their own, outside of the head to head games against the Huskies the 3 teams hanging on have fairly easy schedules so it wouldn't shock me if at least one of them wins out the other games. 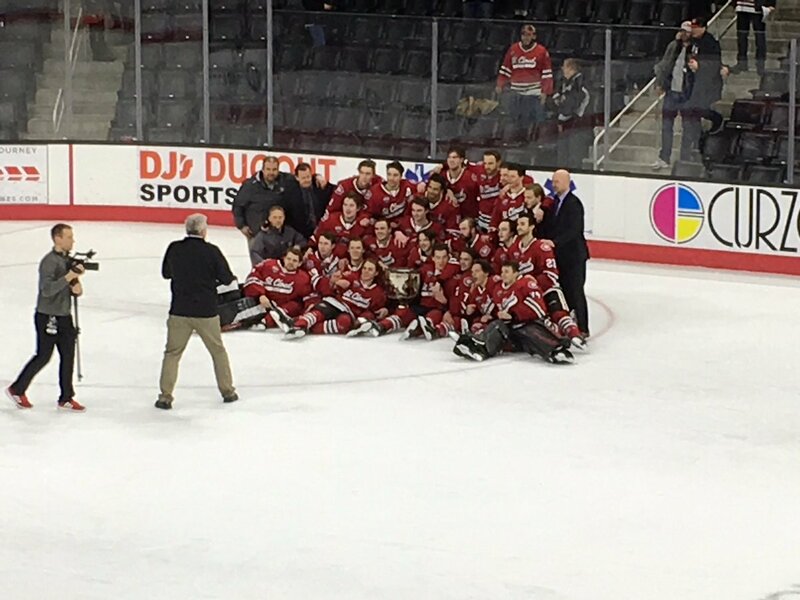 Word is someone found Grant Poultoney's minivan keys and the Cup is now on the road to Omaha. 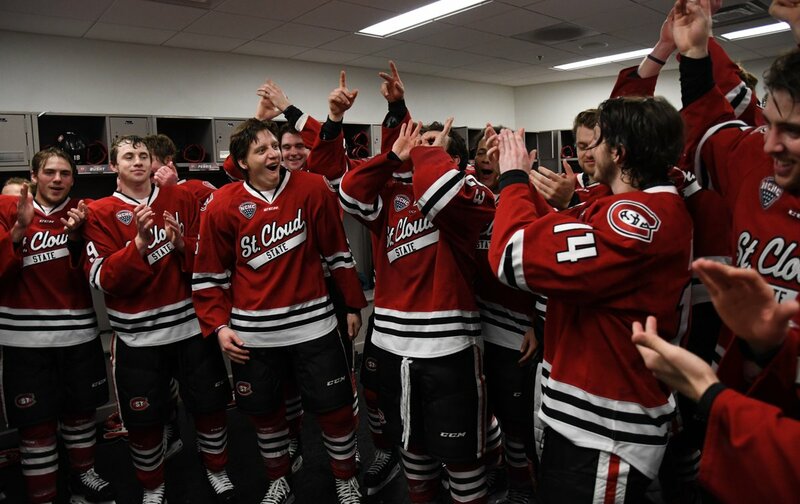 CC gets a single point tonight combined with a Huskies win gets us the Penrose outright. A Huskies win tonight clinches at least a share and WMU would have to win out while we lose out, to get WMU the other share. Huskies final 5-0!!! PENROSE CUP CHAMPIONS!!! 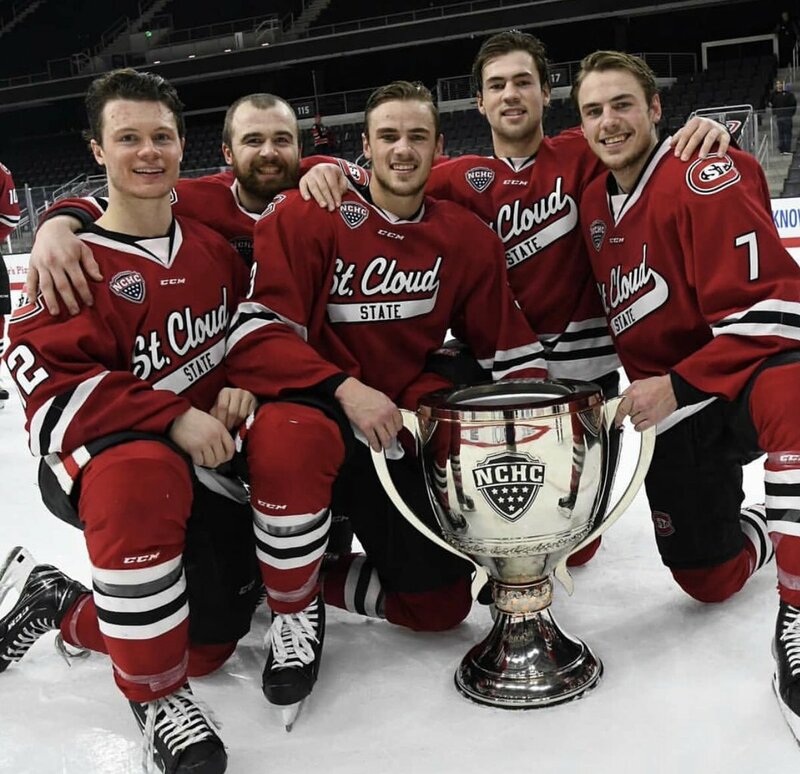 Your 2018-19 @TheNCHC regular season champs! 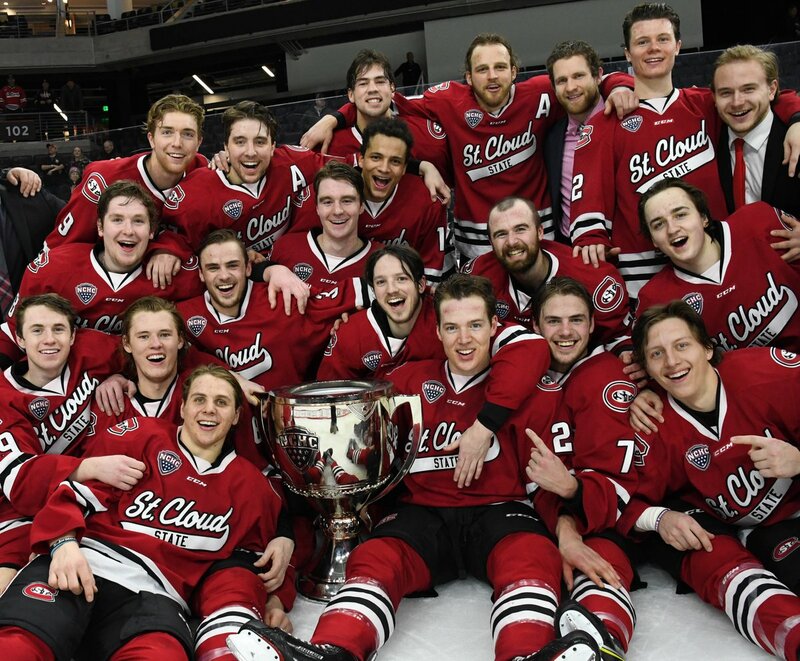 Congrats @SCSUHUSKIES_MH, our first three-time #PenroseCup champions! 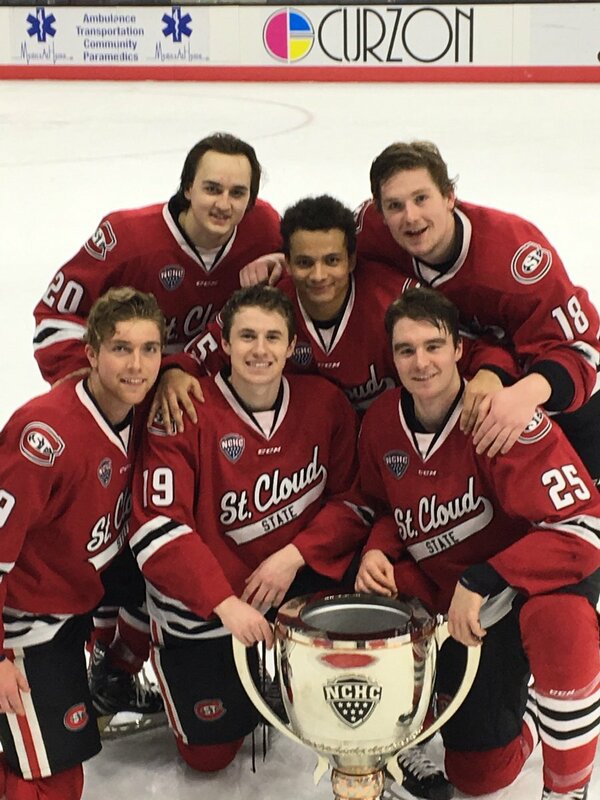 Huskies freshman with the Penrose!! Photo memories! 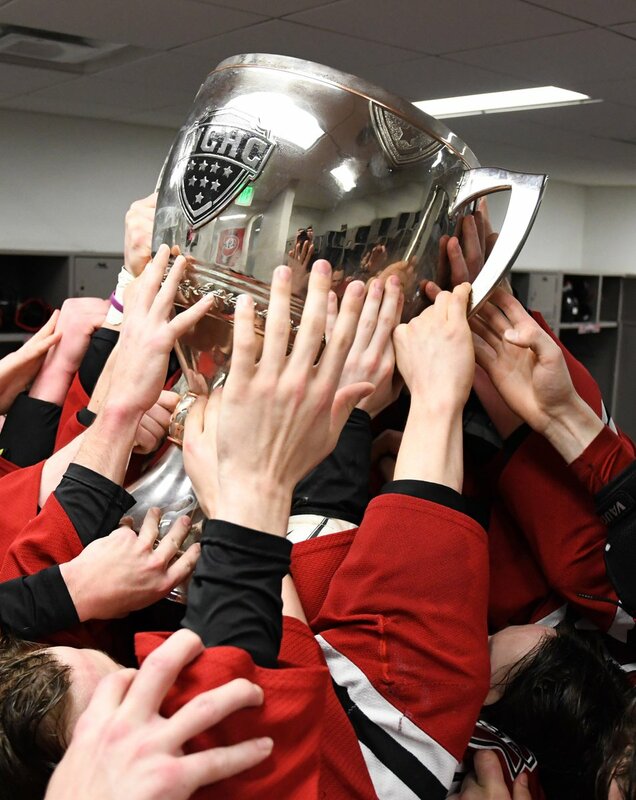 @SCSUHUSKIES_MH wins 2019 @TheNCHC Penrose Cup with 5-0 win in Omaha on Feb. 23! 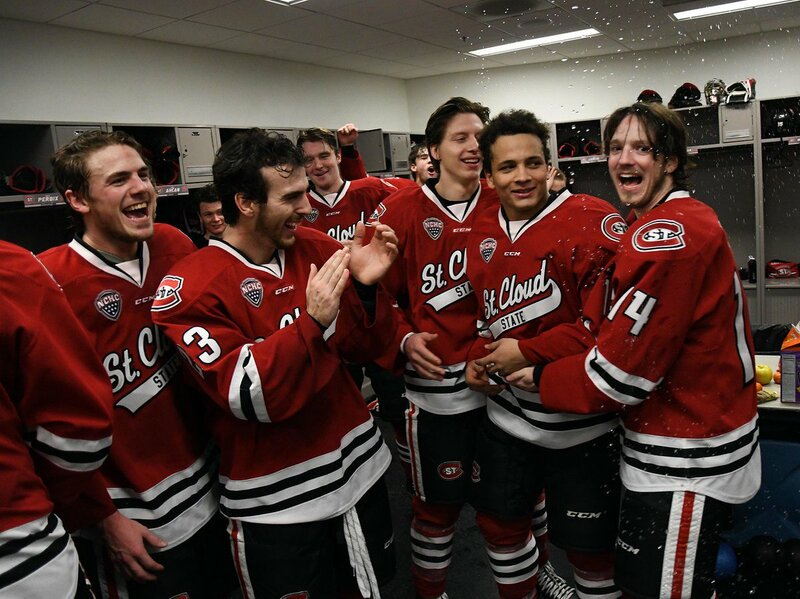 A few words from @SCSUHUSKIES_MH captain Jimmy Schuldt on the NCHC title and win over Omaha. 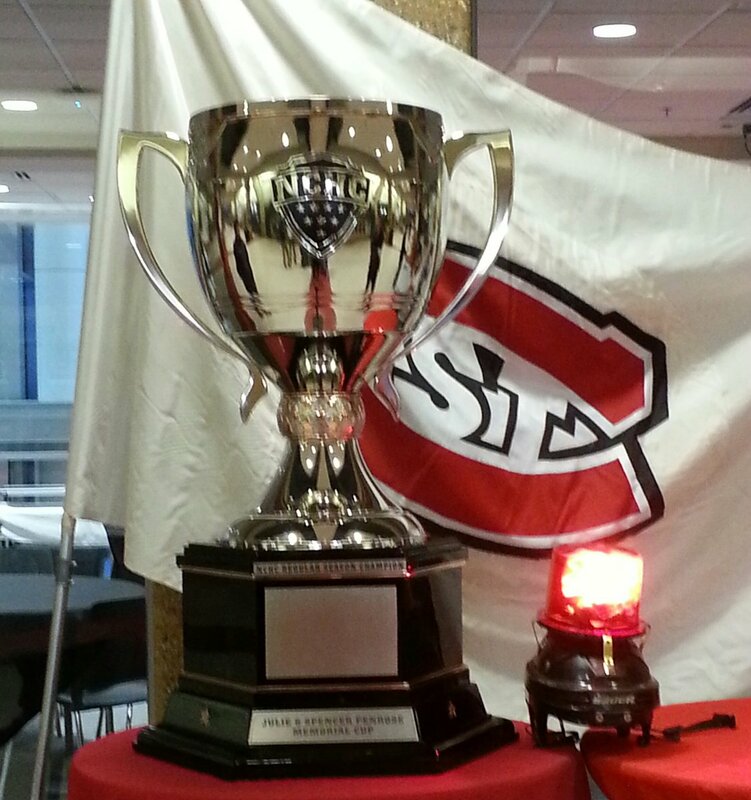 The Penrose cup is having a heck of a trip home along with the team. Lots of great photos. Great team bonding experience which is probably exactly what we need going into the final two weeks of the regular season and beyond. 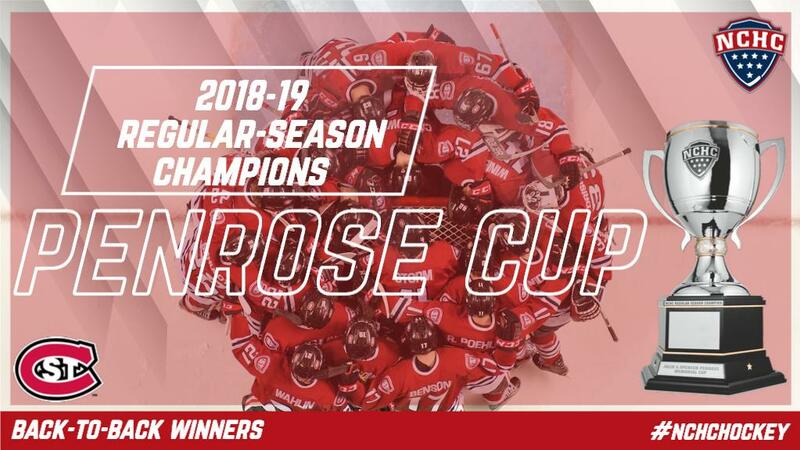 Congratulations to the Huskies for winning the Penrose Cup! It's been a great and fun season so far! Great group of guys! If anyone can find the photo of the sophomore class. let me know. I've been unable to locate. I have the Sr, Jr and Freshmen above. I would like to add it to this folder. Found it... it wasn't on the facebook page earlier.